I replaced an ink cartridge, my product now displays the message Ink cartridge not recognized. What should I do? 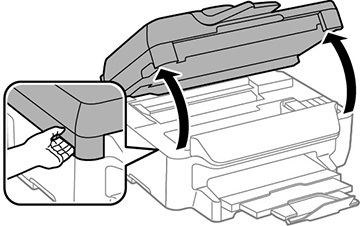 The ink cartridges may not be seated properly and may need to be reseated. Select OK on the product. 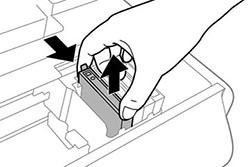 Squeeze the tab on the cartridge and lift the cartridge straight up to remove it. 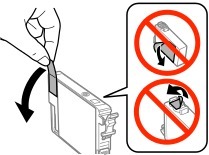 Make sure the yellow tape from the side of the cartridge is removed. Insert the cartridge into the holder again and push it down until it clicks into place. Press OK on the product, then press the Color button to make sure the cartridge is installed correctly. The product starts priming the ink. This takes a few minutes. When you see a completion message on the LCD screen, ink replacement is complete. Note: Do not turn off the product while priming or you will waste ink. Published: Feb 27, 2015 Was this helpful​? Thank you for the feedback!